Are you or your staff looking to learn more about Geology and Groundwater? Get this free digital textbook. One of the primary objectives of the BWJO is to educate end-users and companies in the industry about the sustainable use of groundwater. 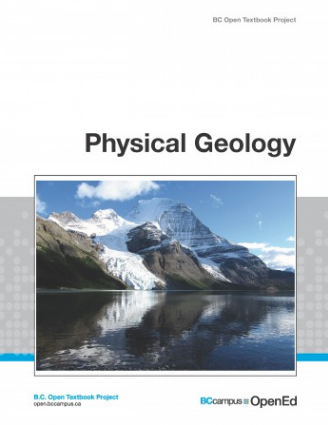 Recently we came across this digital textbook entitled Physical Geology, which was written by a Steven Earle from Gabriola Island, British Columbia. It is available for free (under a Creative Commons Licence), as part of the BCCampus Open Textbook Project. Physical Geology is a comprehensive introductory text on the physical aspects of geology, including rocks and minerals, plate tectonics, earthquakes, volcanoes, glaciation, groundwater, streams, coasts, mass wasting, climate change, planetary geology and much more. If you want to expand your knowledge of Geology, then you could read the entire book, but for those of us who are particularly interested in groundwater, or are members of the groundwater industry, then you might want to skip through to Chapter 14. Chapter 14 is devoted to Groundwater and would be very beneficial to those starting out in the groundwater industry. The book also includes exercises and activities that are designed to encourage readers to engage with the concepts presented, and to apply them in their lives and jobs.